From complicated medical and industrial products to promotional and highly decorative items, 27 high-speed YAG, Fiber, CO2 and UV laser systems enable NLE to provide precise quality control, job flexibility and best laser selection. Three shifts of operation result in unmatched capacity and rapid turn-around. Laser marking and engraving is a computer-driven, environmentally friendly alternative to silk screening, pad printing, stamping, mechanical engraving, chemical etching, and many other costly, lower quality processes. Our high-speed non-contact process provides superior quality, permanence and design flexibility. Laser marking can achieve accuracy in small detail in marking and engraving unmatched by any other method. NLE’s Corrosion Resistant Process survives passivating and passes ASTM F1089-02 (Standard Test Method for Corrosion of Surgical Instruments) on 304, 316, 455, 17-4 and 17-7 stainless steels! Previously, a major disadvantage of laser marking or laser engraving in the medical industry was the tendency for the marking to rust, especially on reusable, autoclaveable instruments made from stainless steels. The laser process tended to create markings that would fade during passivation and/or corrode after several autoclave cycles. In 1999, Northeast Laser saw this as an opportunity to identify the cause and develop a solution to this challenging problem. The result (of over a year of research) was NLE’s proprietary Corrosion Resistant Process, which has proven effective on 304, 316, 455, 17-4 and 17-7 stainless steels. NLE has been providing this service for over fifteen years, with outstanding success in the field. More and more medical device manufacturers call out NLE’s Corrosion Resistant marking process, due to our proven results. Give NLE a call with your medical component application. We’d be happy to provide you with samples of our corrosion resistant marking in order for your company to see how effective our proprietary process can be. NLE’s Corrosion Resistant process can be performed on both flat and curved surfaces. Northeast Laser specializes in precision calibrated banding of tubular components, including thin wall and small diameter tubing. 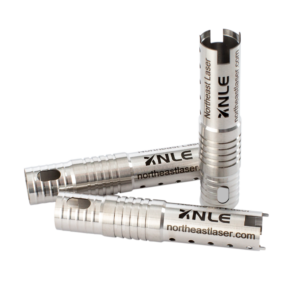 Recognizing the need for this service, especially in the medical components field, NLE has designed and developed proprietary equipment to efficiently mark guide wires, cannulae, harvesters, shafts and just about any cylindrical or tubular product. Adding numbers or characters to identify bands is also no problem for our equipment. NLE also has experience banding Teflon©, Teflon coated, or anodized parts. Depths up to 0.030″ are easily achievable, with better detail than mechanical engraving. Most often, there is a substantial cost savings by using the laser process. NLE can engrave both flat and curved surfaces. Until recently, laser engraving was not widely recognized as a viable process for mold and tool work, since typical depths achievable were limited to a few thousandths of an inch. Utilizing higher power lasers, and continually refining the process, NLE routinely engraves up to thirty thousandths of an inch in both ferrous and non-ferrous metals. Extremely fine work is easily handled, since the laser spot size is less than four thousandths of an inch in diameter. When it comes to marking speed, steered-beam systems are the choice over gantry type laser markers. One of the only limitations of the steered-beam systems is that they are typically limited to a maximum marking field of 7″x 7″, meaning that any image larger than the field needs to be shot in sections, or “tiled”. This can easily be handled with CNC tables and in many instances we do so at NLE, but the artwork needs to be segmented correctly to avoid slight mismatches. This results in longer set-up and programming times. This is precisely why Northeast Laser has several large-field steered beam system with a whopping 32″x 32″ field size, over 7 square feet! This system allows NLE to mark large panels, or multiple smaller panels, with both speed and precision, giving us an advantage over competitors with smaller systems. When combined with our proprietary rotational motion systems, precision banding of large tubular parts is easily achievable. Be sure to have Northeast Laser quote your next panel or long tubular marking job – you’ll be pleased with both our pricing and our results! The results achieved on wood by laser engraving are simply amazing. From large volume items like key fobs, to limited edition boxes, and even single plaques, a CO2 laser is simply the best way to create intricate and repeatable engravings on all types of wooden articles. NLE’s graphic artists can take the most challenging images and designs and turn them into fantastic looking engravings that are sure to impress even the most discerning eye. Call us with your simplest or most difficult projects, and you’ll soon see why NLE is one of the most popular engraving job shops in the country. It’s amazing how products jump to life when your message is delivered through our graphical laser engraved process. Best of all, this beauty can be replicated thousands of times with computer precision and accuracy. Slow moving inventory can instantly become a fast moving premium or special edition. Laser marking or engraving is a computer-driven, environmentally friendly alternative to silk screening, pad printing, stamping, mechanical engraving, chemical etching, and many other costly, lower quality processes. Our high-speed non contact process provides superior quality, permanence and design flexibility. Laser marking can achieve accuracy in small detail engraving unmatched by any other engraving method. From ten to ten thousand, precision computer control means that your last production piece will look as good as the first! This dark annealed marking is often used on medical devices and components that benefit from a non-disrupted surface, or in cases where a customer wants the look and smooth “feel” of the marking. There are occasions where customers will have laser etch, or even laser engrave on their prints while really wanting a stain mark. This marking is generally performed per our NL-DM-01 internal specification. Frequently used on uncoated promotional products and other metal components when a non-glossy, textured dark etched surface is desired. A small amount of material is vaporized by the laser, and the etch may feel slightly raised to the touch as well as textured. There is no measurable depth to this type of etch, but peak penetrations will range from a few ten thousands to a few thousands of an inch. This process is similar to a stain mark in that it leaves a dark (charcoal gray to dark brown) marking with no appreciable texture to the surface. However, NLE’s corrosion resistant process has been specially designed to resist the formation of rust on or around the marking. This marking is generally less glossy and black than a Type 1 stain mark. 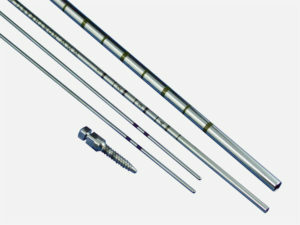 This process is used extensively on medical instruments made of 300 series, as well as 17-4 and 17-7 stainless steels. Process times are longer than for Type 1 stain marks. This type of marking is particularly useful on highly polished or reflective parts, or on metals having a dark coating. The laser lightly disrupts the surface of the component, ablating any coating and leaving a mark that appears white or “frosted”. This type of mark is also used on pewter or silver, since it does not require wiping (which can scratch or scuff soft metals). The laser is used to impart a bead blast like texture over a section of a part. The textured area is generally bright in appearance but may be slightly darkened depending on the target surface roughness. Laser abrading is consistent part to part, lot to lot and across the entire surface being abraded. Laser abrading will not imbed contaminants into the textured surface and will not damage thin walled material. Laser abrading can be applied to tightly controlled areas of a part without masking. 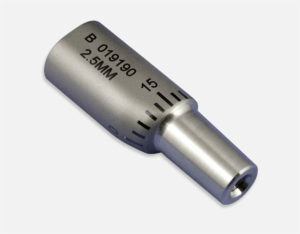 The laser is used to engrave clean measurable depth exceeding 0.002”, and up to 0.030” deep. 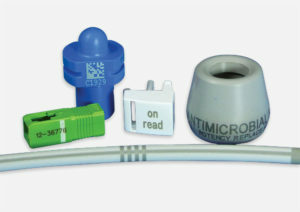 Common applications include mold core engraving or component engraving requiring a secondary color fill. Process time and cost are directly proportional to the total amount of material to be removed, and are generally much higher than the other laser marking processes. Many plastics will change color providing a permanent high contrast marking, with no measurable depth when exposed to the laser. Many dark plastics, like black acetal, will laser mark white. Many white or clear plastics, like polycarbonate, will laser mark dark. Use the form below to find out more about what we offer and how we can help your company. © 2019 Precision Laser Marking, Laser Welding, Laser Cutting, Electropolishing & Passivating Services at Northeast Laser & Electropolish. All Rights Reserved.